Real estate business is developing every day. Modern world demands not only to keep records of all events, contracts and deals but also to have a quick access to all your data. This is where Ninox software comes to help. Whether you are a real estate agent, broker or property realtor you need the best management of information in the most effective way. 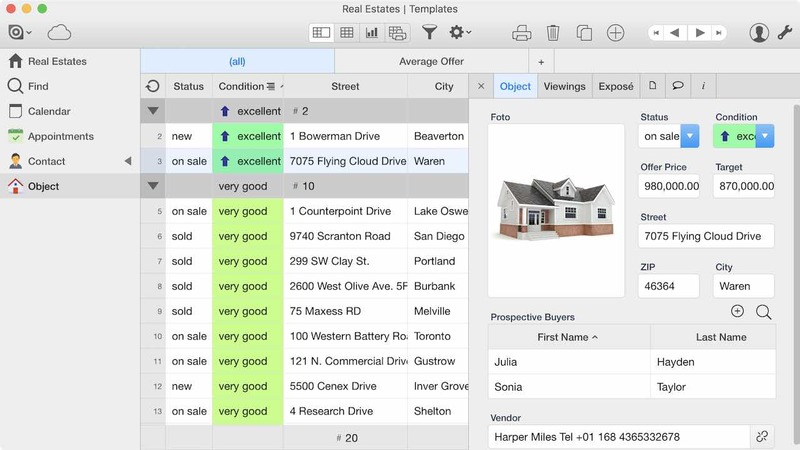 Create records for real estates with address and description. Add images and other criteria. 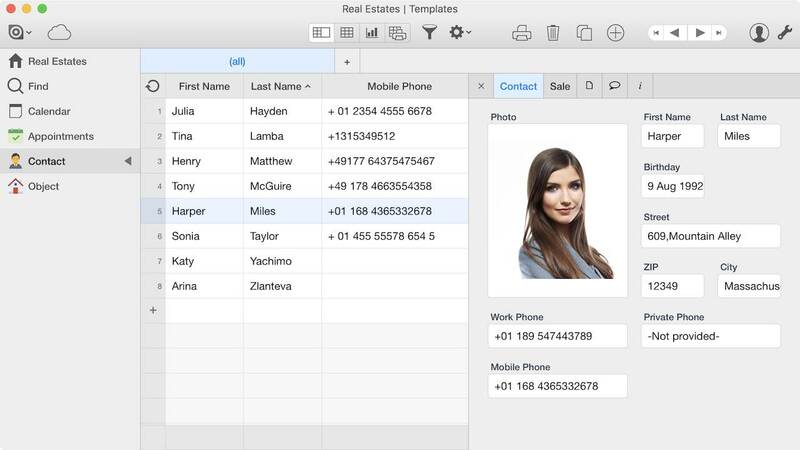 Create a CRM database, make appointments and meetings. Organize open days and events to engage with potential clients. Print exposés as PDF files. Combining the offline-ready Ninox apps with our cloud based service, you'll have all the information at hands, even when there's no internet connection available.